Envisage Cloud win 2 Sage Partner Awards! Envisage Cloud win the coveted Sage Ireland Business Partner of the Year 2016 Award! We are delighted to announce that Envisage Cloud has scooped not one but two awards at the Annual Sage Awards! On collecting the awards for both Irish Partner of the Year 2016 and Sage 200 Irish Partner of the Year 2016, Peter Bergin, MD of Envisage Cloud said "It's the efforts of all staff at Envisage Cloud that have carried us to such success". Ray Ryan, Director added " Envisage Cloud's success at integrating third party applications from direct debit to scanning and OCR solutions minimises paper documents, bringing greater efficiency to any business process. This means that on the foundation of Sage 200, on-premise or cloud, there is a comprehensive business management solution for almost every business." Barry Murphy, Sales Director of Sage Northern Europe said "We're extremely proud to present this award to Envisage Cloud. Companies like this are leading the way in their field and we look forward to another year of mutual benefit and growth." 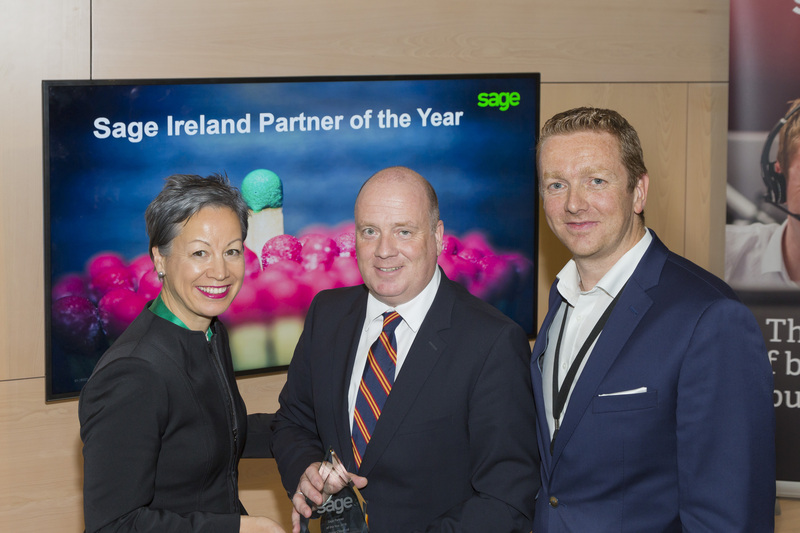 Photo l-r: Jacqueline de Rojas - Sage, Peter Bergin - MD Envisage Cloud and Barry Murphy - Sage.